This book provides a visual reconstruction of Palmyra, a World Heritage Site situated in Syria, which flourished in Greco-Roman times. Palmyra is situated in a desert oasis and served as a vibrant caravan station on the Silk Road connecting the Roman world with the East. It has been called ‘the Queen of the Desert’ and ‘Venice of the Sands’. In 2015–2017 the city was conquered by ISIS who destroyed its monuments and museum, also killing several of its inhabitants. Their aim was to erase the memory and identity of the place, its people and our common heritage. However, through the use of modern technology including photogrammetry, digital imagery and 3D modelling, it has been possible to recreate the documented monuments, thus overcoming to some extent the trauma, cultural destruction and loss. The book unveils the rediscovery of the site by the West and revives and reconstructs the ancient city through images and history. The reader is taken through the spectacular city and its past by providing the information to follow the roots and development of the site, its monuments and its people through the ages, including rulers such as Queen Zenobia. The combination of visualization and written accounts interlink the environment and its people, the monuments and archaeological small finds by using ancient written sources, old photographs, new imagery, 3D models and 3D printing. Thus this ancient site and its past is revived in multiple dimensions. 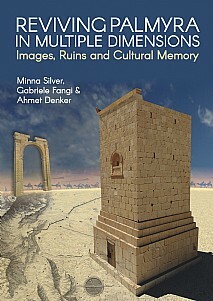 Monuments are visualized as digitally reconstructed ruins or as complete virtual models. This text is therefore the perfect guide for readers who wish to immerse themselves visually in the history of the area and to discover more about the archaeology and its preservation using diverse methods employing modern technology. Ideal for all who have an interest in archaeology or the application of modern geomatics and digital techniques in its preservation. Professionals and students in archaeology, heritage and conservation, museums and related areas will find it interesting and stimulating as will anyone in geomatics involved with the application of such techniques to recording heritage.